As many of you know, I am working to complete my doctorate in American Studies at the University of Maryland, College Park. I am nearly there! But the cost of education - and all the associated costs of fees, conferences, interviews, etc - have posed quite a challenge. I'm so very close, but I need help crossing the finish line. To finish, I need to be able to pay fees, tuition, and to attend conferences that will help me access job contact. In the last year, I've begun giving The Site Unseen tours, tours focused on submerged and underexamined histories. One of the most popular tours is Race, Space, & the Power of Place @ Union Station. 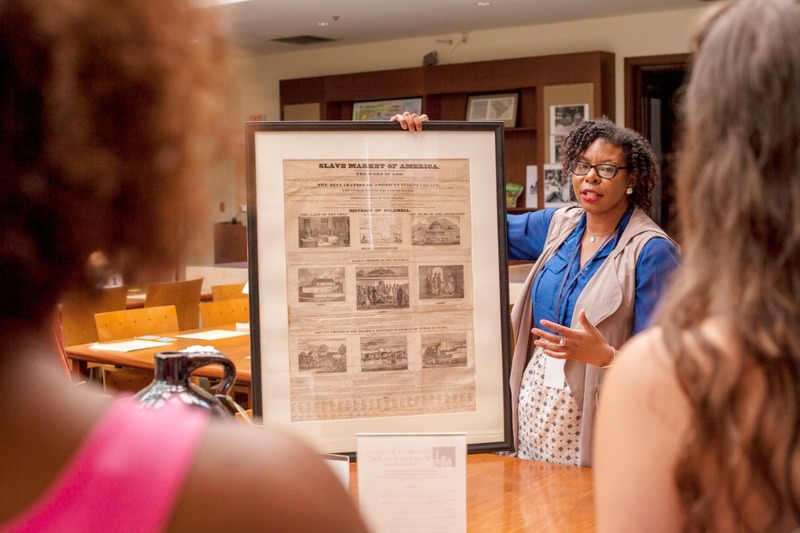 The tour explores Union Station as a way to tell the story of the Great Migration of African Americans and that acts as a space where multiple communities interact. The tours are a great example of how I plan to use my degree: to create dynamic learning opportunities that share history with a broader public in meaningful ways. In addition to continuing my work providing innovative public history programming, I would like to continue pursuing museum work, more traditional academic work with scholars and students, and work putting together public history conferences - like the one I currently am working on. With your help, I can complete my degree and transition to being a scholar and academic who commits to equity and accessibility in education.